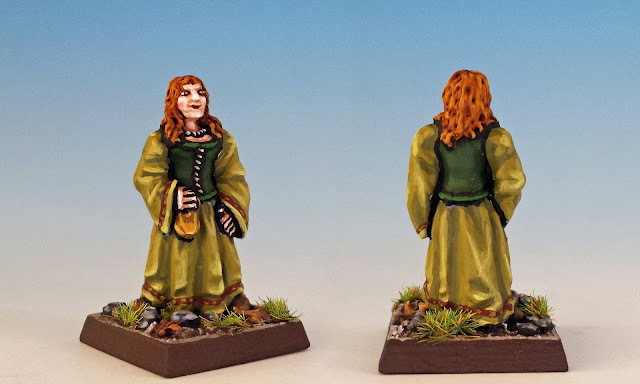 The Lichemaster Heinrich Kemler has sent his undead servant Mikeal Jacsen to destroy the isolated farmstead of the Bogel family in order to prevent them from warning the village of Frugelhofen. Can any of the Bogels escape? Who will be left behind? This is the second battle in the Terror of the Lichemaster scenario pack. There's Hunk Bogel, his wife Lorabeth and their three children. 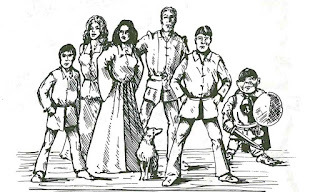 Rounding out the family is the halfling stable-hand, Samgaff, and Fritzy the dog. Lightly armed civilians cornered in a lonely farmhouse by a mob of zombies - It's right out of Night of the Living Dead (or the Thriller video). ... the Bogels some to the sudden realization of what is happening, and, in the true pioneering spirit, the women-folk begin to load crossbows for the stern-faced men. "Whatever happens," Hunk whispers to his eldest son, "save the last two bolts for Corabell and your mother." John-Boy nods and grimly replies, "I know you never liked them, Pa."
That's just the way things are when you are trapped in a little house on the prairie and Mikeal Jacsen is closing in. In any case, let me introduce you to the family. First up is Hunk Bogel, the patriarch of the family. 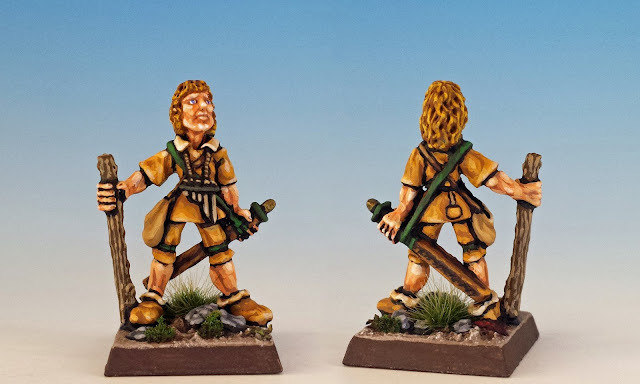 His miniature is originally one of the unnamed C46 Villagers and Townsfolk released in 1985 (and almost certainly sculpted by Trish Morrison). For a collector, he's a frustrating miniature. He's rare and he's an integral part of both the Lichemaster range and also the range for Bloodbath at Orc's Drift. As a result, he's much sought after when he hits eBay. And yet, he's actually quite an ugly sculpt -- his hunched posture makes it look like he's battling heartburn, not zombies. Hunk's wife, Lorabeth Bogel is another unnamed miniature from Citadel's C46 Villagers and Townsfolk (1985) sculpted by Trish Morrison. Like her husband, she's a "refugee from the west", which (I think) means that she came to the Frugelhorn Valley to escape the violence of the Empire. Bad choice, Lorabeth, because your children are about to be eaten by zombies. John-Boy is the eldest Bogel child. 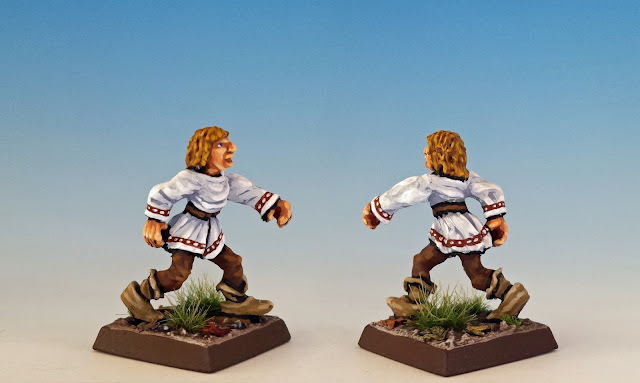 He is the "Herdsman" from from Citadel's C46 Villagers and Townsfolk (1985). He's a common miniature, and will also be familiar to fans of Warhammer Fantasy Roleplay, where he features in Tony Ackland's illustration for the herdsman career. 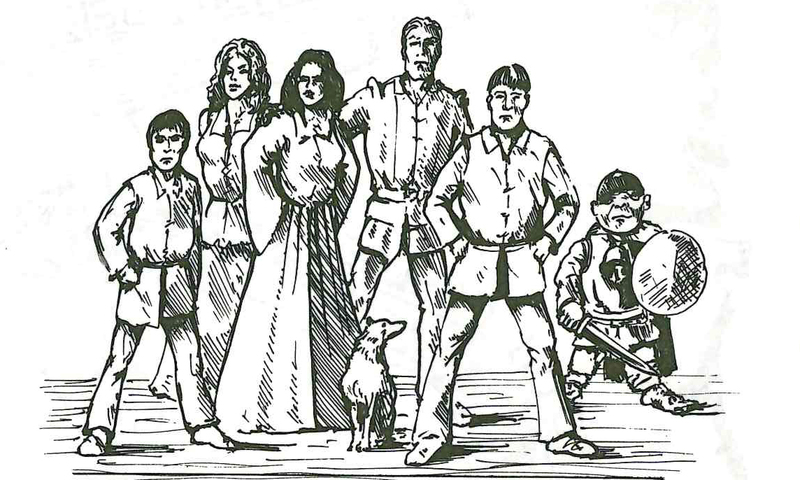 Willy Bogel is the youngest child - another common miniature from Citadel's C46 Villagers and Townsfolk (1985). Doesn't it look like he'd have a delicious brain? Yeah, you better run, Willy. The Bogel's family dog is Fritzy, described in the campaign book as "aged and rather cranky" (Tell me about it, Fritzy.) Later, we're told that he is actually "completely insane" and is as likely to attack a Bogel as he is an invading zombie. 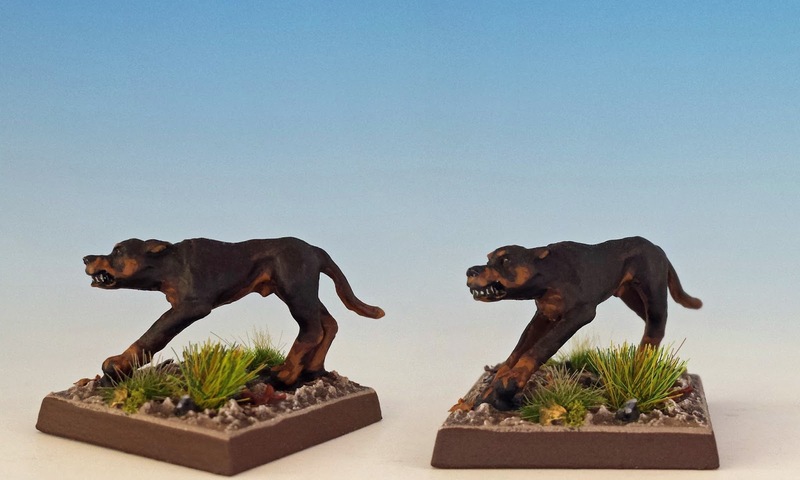 I've painted Fritzy to look like a Rottweiler, but in fact he's a Blink Dog. That is to say, his miniature originally comes from Citadel's range of licensed miniatures for Advanced Dungeons and Dragons (1985). This is a great range (check out Richard Scott's mind-boggling collection at The Stuff of Legends. Seriously, check it out. I'll wait.) Fritzy is one of the four Blink Dogs sculpted by Aly Morrison for ADD80. And finally we have the loyal halfling retainer, Samgaff (whose name sounds suspiciously like Sam Gamgee or his father Hamfast "The Gaffer" Gamgee). 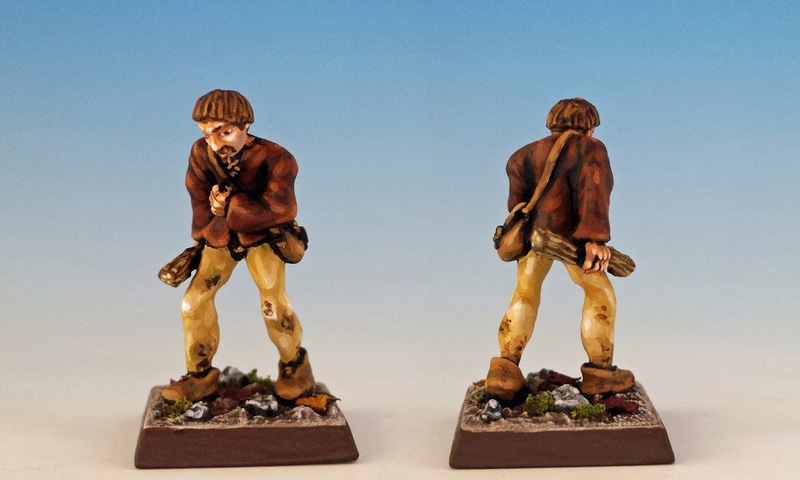 Samgaff is one of the excellent miniatures carved by Michael and Alan Perry for Citadels's C11 Halflings Range. 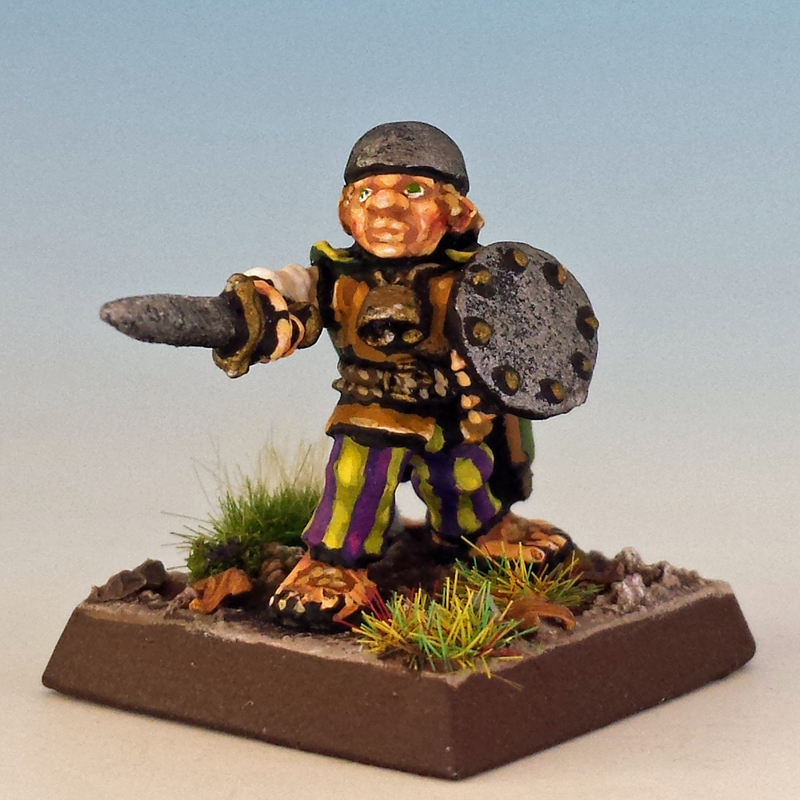 Originally, this miniature's name was Dery Podgebelly. He's a great sculpt: dramatic, finely detailed and nicely proportioned. But he inexplicably has a cowbell tied around his neck. Join me next time when we'll meet the last bulwark against the Lichemaster, the heroes of Frugelhofen. Thanks for looking! 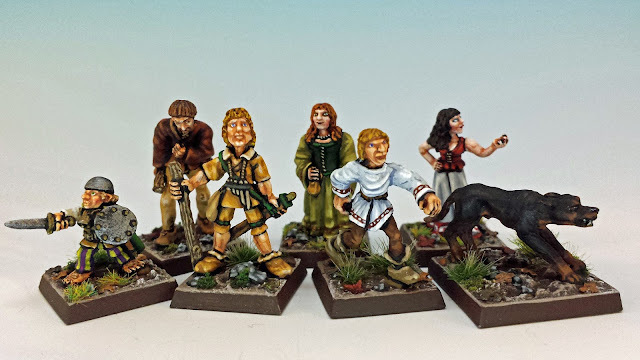 I just want to play the scenario with you, using these miniatures, over and over again. Love 'em all! I can't wait to actually play this damn thing. Believe it or not, I've still got a lot of work/painting to do before that happy day. I only have about half as many skeletons and zombies as I need. Oh a big part of history. 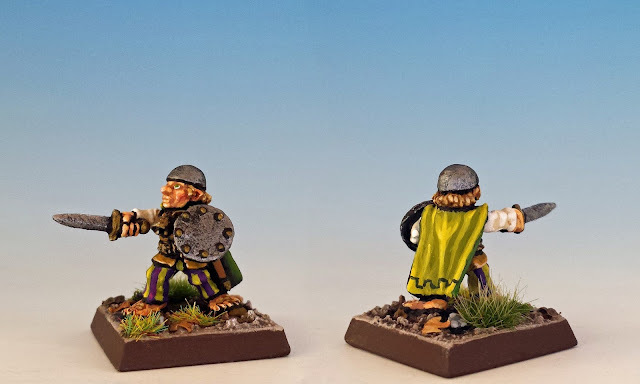 Magic miniatures and excellent work. I'M LOVE it! Thanks again, Michał. Glad you're enjoying it! Love your splednid characters...and dog! Exceptional as always. You're going to have to accept a transfer. You're making all of us (Canucks) look bad. Are you kidding? I've seen your skaven up close. They are magnificent. In fact, I'm going to need your help when I come to Revenge of the Lichemaster, the scenario where undead fight monks fight skaven. Looking good! I've got some of those blink dogs I was okay no ng in painting exactly like that. What colors did your use? I used a basecoat of very, very dark brown (almost black). Then I added the face patches, mitts and underside in beastial brown (i.e. a mid-tone brown). I shaded the inside of these patches with a slightly darker brown. Then I just did some blending around the patches, by mixing the beastial brown with the basecoat. The key is to look at pictures of real dogs (in this case, a rottweiler) to get the patching right. What a great project! It's fantastic to see this collection of original minis so well painted. Can't wait for a battle report! Cheers CH. Those bases take me forever. Cracking stuff. Fritzy is wonderful - the colours are spot on. Thanks MM. I looked at lots of pics of Rottweilers before taking on Fritzy. More cowbell is always welcome. I can't stop feeling astonished by every piece of the project and how you are approaching it all. So great. I take that as a very high compliment when it comes from the likes of you, sir. Bloody brilliant as always! Really nice work on the white in particular, looks really smooth. I appreciate your critical eye, Mr. Leach! I have great hopes that the Bogels will somehow blunder their way through. 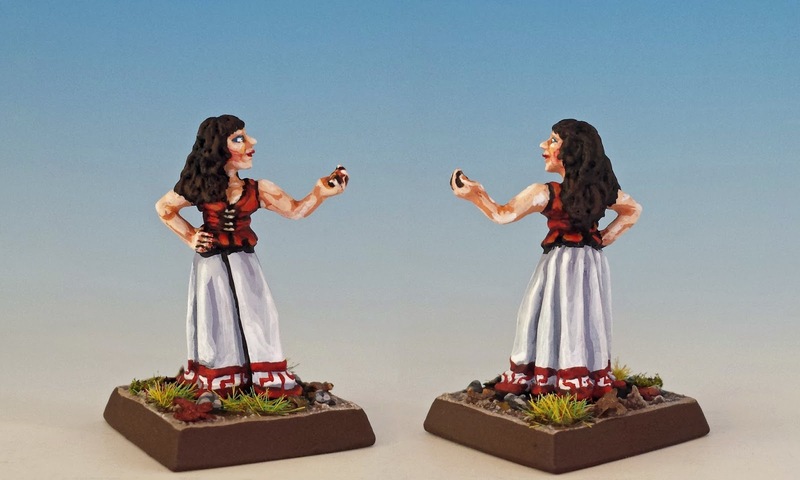 Lovely figures and commentary. For everyone's sake, I hope you're right... they must get warning... to Frugelhofen!